Three Milwaukee-area professors from three universities are working together to prevent dementia in women. Dr. Dan Sem is the dean of business at Concordia University and a professor of business and pharmaceutical sciences. He said the trio, with a big help from students, is getting closer. "We're working on a drug to treat dementia in women after menopause because women are twice as likely as men to have Alzheimer's disease," said Sem. The researchers are focusing on treating menopause symptoms. "The frequency and intensity of hot flashes is correlated with dementia, so our goal is to treat the symptoms of menopause initially but then target the downstream of dementia," said Sem. Dr. Bill Donaldson is a professor of chemistry at Marquette University. Students in his lab make the molecules and then pass them on to the others for testing. "The information that we get back from that group is what helps us to design and think about what we're going to make next," said Donaldson. Concordia students are looking to see if the compound does what they want it to. Dr. Karen Frick is a professor of psychology at UWM. Her students study how mice react to the compounds. "We'll be examining memory, hot flashes, and depression and anxiety-like behaviors in the mice," said Frick. Researchers are confident they're on the right track. "It seems in our initial studies to enhance memory functioning," said Frick. The three professors are also business partners. 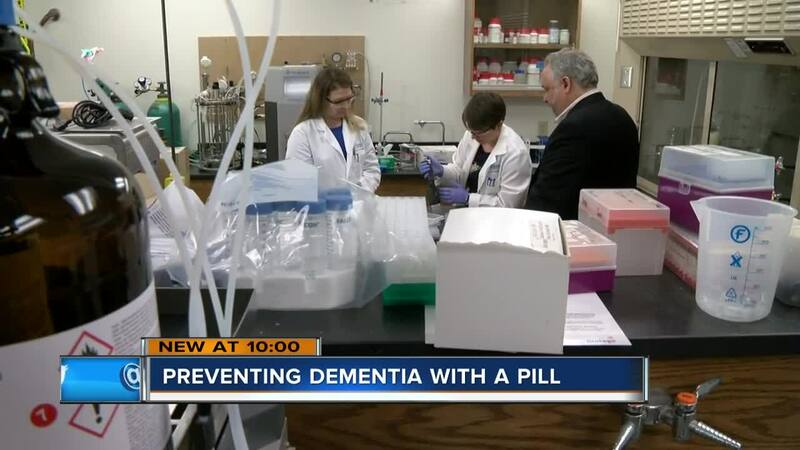 "We formed a company last year called Estrigenix focused on that, and we're building a company for the sole purpose of developing and ultimately commercializing a new treatment for dementia," said Sem. Clinical trials would be the next step, and that could cost millions. "At that point we would look to partner with a pharmaceutical company that is interested in this area," said Sem. Time and money are needed, but they know they're getting close. "I think one of the most exciting things about this particular project is that it does have the potential to really help women," said Frick. Getting a pill on the market is still years away, though.